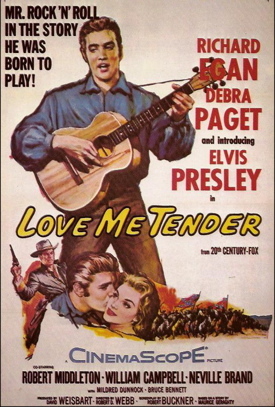 With the possible exception of All Shook Up, no song title is more associated with Elvis Presley than Love Me Tender. The writing, recording, and commercial success of Elvis’s version in 1956 occurred within a short time frame—just five months, in fact—but it involved a series of crucial decisions made by various people, as well as by two very large entertainment corporations. It’s probably over-dramatic to say Love Me Tender came close to never being recorded, but there was one person, at least, who would gladly have discarded it in the early going. That person was Elvis Presley. Though unmentioned on the paper, the song Love Me Tender had its genesis in the contract Colonel Parker negotiated with 20th Century Fox for Elvis to make his movie debut for that studio. 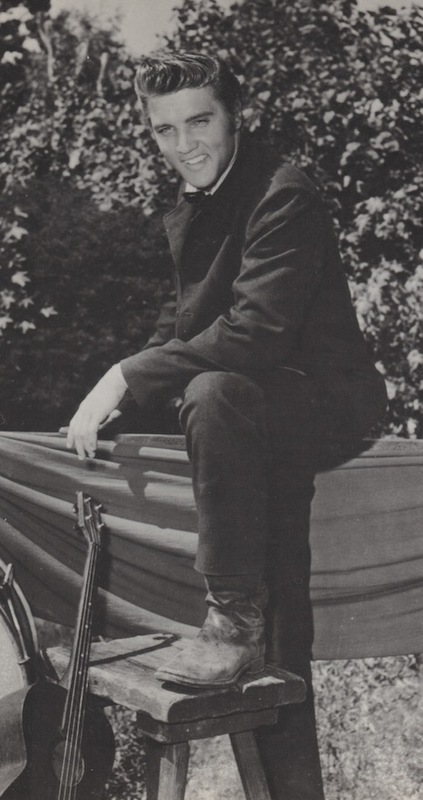 The deal was announced on August 13, 1956, and just three days later Elvis flew to Los Angeles to start preproduction work on The Reno Brothers, a Civil War era western drama. Soon after arriving on the coast, the events that gave birth to Love Me Tender began to unfold. A chronological approach is the best way to view the flow of those events. It started with the first day Elvis reported to the Fox movie lot in Hollywood. Before his first day on the job, Elvis probably already knew that Fox wanted him to record a title song for The Reno Brothers. He was disappointed and would likely have killed the idea if he could have done so. However, Colonel Parker convinced him that it was his obligation under the contract with Fox to follow their wishes. In her 2006 book, The “Love Me Tender” Years Diary, Trude Forsher, Colonel Parker’s personal secretary in Hollywood, quoted as follows from an interview she conducted in September 1956 with Ken Darby, the film’s musical director. 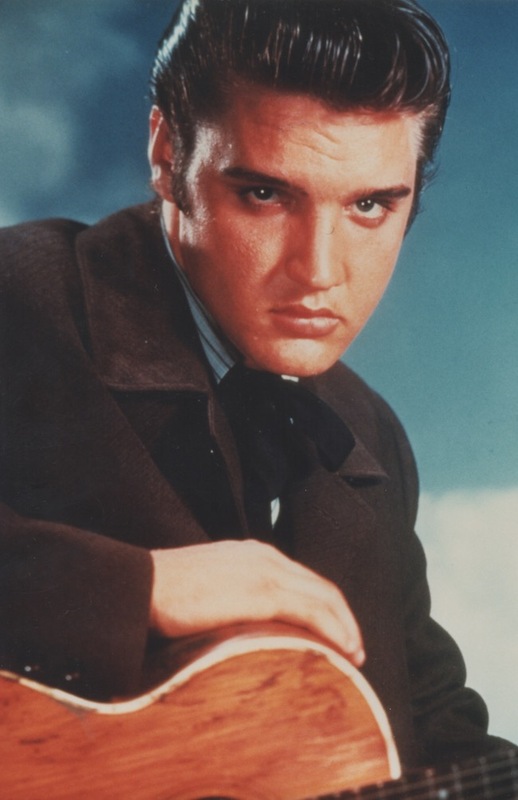 “I was told the period was 1864, and the challenge was to provide Elvis Presley with a series of songs which would be ingenious to the period and yet satisfy the demands of his following for Presley-type music. I was made aware of the potential impact of a sweet ballad if sung by Presley as his theme song. “I brought a lot of songs in and played them and studied them. In the end there was just a small selection, five melodies. “When Elvis came on the lot to start his movie, we invited him to listen to them and to choose a melody for the theme song of his new picture. He listened and selected one particular melody. It was an instant decision. He knows what he likes when he hears it; he can feel a melody and make it his own instantaneously. “I took it home to my wife. She is a composer in her own right, and she came up with the title ‘Love Me Tender.’ It didn’t take Vera more than an evening to write a few stanzas. Then the draft was brought back to Elvis. When principal photography on The Reno Brothers began. 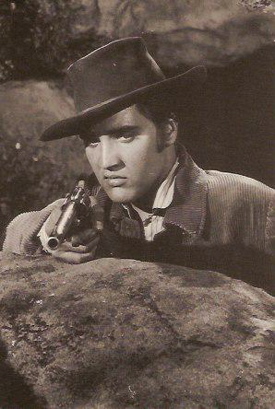 Elvis was still bothered about being asked to sing in the film. In his book on Elvis’s recording sessions, Ernst Jorgensen explained what happened next. After lunch Elvis reported to 20th Century Fox Stage 1 in Hollywood to record three songs for the movie. Elvis’s own band was available, but Fox decided to use their regular session musicians. Love Me Tender was one of the songs recorded on the spacious soundstage that afternoon. Elvis debuted Love Me Tender nationally during his first appearance on The Ed Sullivan Show. 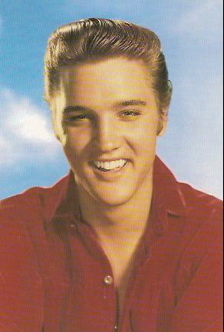 Presley performed the song, along with several others, in CBS’s Los Angeles studios. The live remote feed was included in the show, which was broadcast from New York City. 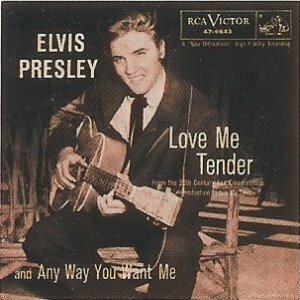 The next day record distributors began receiving a flood of inquires about the release of Presley’s Love Me Tender single, which RCA had scheduled for September 28. Meanwhile, Elvis returned to the Fox lot to continue shooting on the film, which by then was officially renamed Love Me Tender. 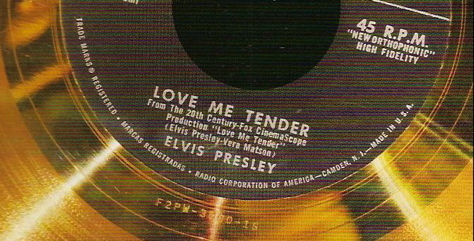 RCA informed Elvis and Colonel Parker that 918,230 preorders had been received for the single record of Love Me Tender backed with Any Way You Want Me. The label also announced that the single would be the first one ever in the industry to earn gold record status before its release. 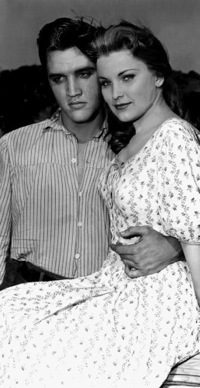 Elvis returned to the Fox Hollywood soundstage to record an additional segment of Love Me Tender to be used over the end credits of the film. Trude Forscher, who was present, offered the following account in her book. Elvis was standing in the middle of the stage with a tremendous boom microphone in front of him … After the warm-up, conductor Lionel Newman said, “Set.” The crowd became absolutely silent. The guitar around his broad shoulders, he leaned towards the mic and the words “Love Me Tender, love me sweet …” were picked by the tremendous boom microphone facing him. He sang the music softly. Elvis had finished, and he gave the sign for the playback. Suddenly, the bare studio was transformed into a romantic 19th century setting, as the gentle words interpreted so feelingly filled the air. There were tears in the eyes of the most hardened show business veterans. During the playback, Elvis turned to the wall, his eyes closed, listening with intense concentration. There was a stunned silence. Elvis was satisfied. So [were] Lionel Newman [and] Ken Darby. As the playback ended, there was an awed silence. Then Ken Darby, the quartet, and the old “pros” in the orchestra broke into spontaneous applause. Love Me Tender entered Billboard’s “Top 100” chart at #22. It climbed to #6 the following week, then to #3 and #2 by its fourth week. Love Me Tender debuted on Cashbox magazine’s chart of the 50 “Best Selling Singles” at #40. It jumped to #2 the following week, and then settled in as the nation’s top selling single for five straight weeks. After dropping down to #2 on December 1, it remained there for six more weeks. It stayed on the top 50 sales chart for 21 weeks, ending its run on March 2, 1957. 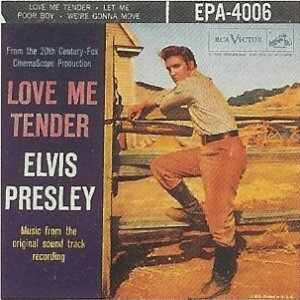 Love Me Tender claimed the #1 spot on the “Top 100.” It remained in the top spot for two more weeks, before being knocked down a notch by Guy Mitchell’s Singing the Blues. Elvis’s recording remained at #2 for four weeks and then at #3 for two more weeks. 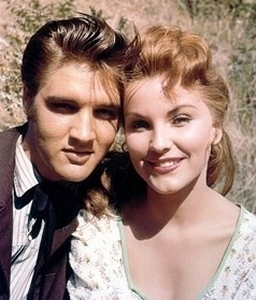 Love Me Tender finished a 22-week run in “The Top 100” on March 16, 1957. During that time it spent 3 weeks at #1, 11 weeks in the top 5, and 14 weeks in the top 10. 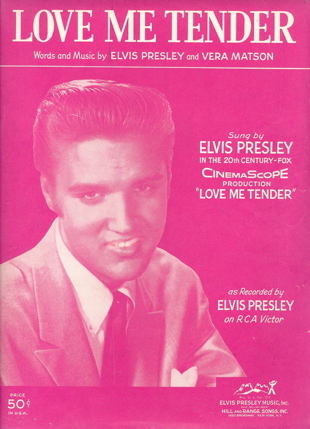 RCA Victor announced that Elvis’s Love Me Tender sold 2,300,000 copies in 1956. That was more than Heartbreak Hotel (1,600,000) but less than the Hound Dog / Don’t Be Cruel double-sided hit (3,200,000). Aside from its phenomenal record sales, Elvis’s Love Me Tender had major influences on Presley’s future career. The recording revealed not only that Elvis could sing a mainstream ballad, not just rock ’n’ roll, but also that his fans would accept his extending into other musical genres. 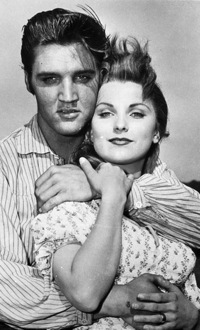 Love Me Tender also demonstrated Presley’s power in multi-entertainment media. Introduced on TV, the song drew crowds into both movie theaters and record stores. Colonel Parker learned the reciprocal value of a hit song in an Elvis movie. The film promotion helped sell the single record, which in turn further promoted the movie. The formula worked again for Elvis’s next three movies with Teddy Bear, Jailhouse Rock, and Hard Headed Woman. "During the playback, Elvis turned to the wall, his eyes closed, listening with intense concentra-tion."